Some people think crab is something you only get when you go out for that special meal, but honestly, we’re total opposites in that theory. Why spend all your dough on the restaurant mark-up when instead you can grab yourself a couple of extra legs to heat up toot sweet? 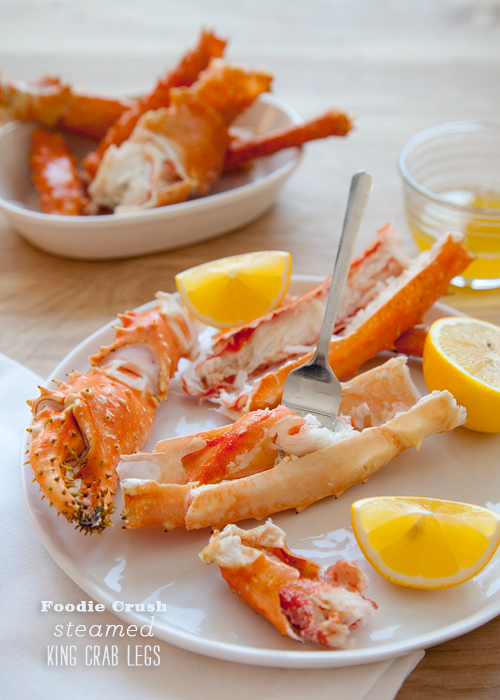 We’ve cooked Alaskan King Crab Legs every which way—except in a crock pot because that would just be not right. We’ve boiled, sauteed, steamed, broiled and bar-b-qued. The best way we’ve found to cook up these leggy supermodel crustaceans is by binding them up in paper towels and plastic wrap like little high school wrestlers trying to make weight before the big match and using most cooks day-to-day, go-to kitchen-cooking-contraption, the good old microwave. 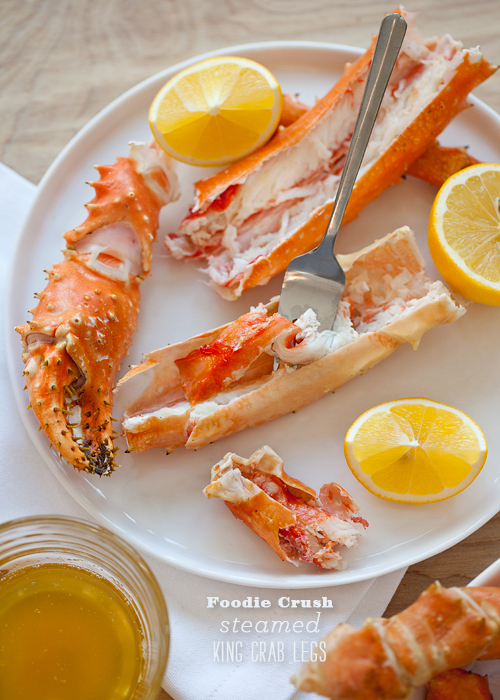 Since crab from the grocery store freezer bin is already flash cooked, the problem with cooking at home is just that. You’re cooking it twice! So instead of cooking it again, to shreds, to rubbery smithereens, just give it a little warm up. Cut claws at joints to fit into your microwave. 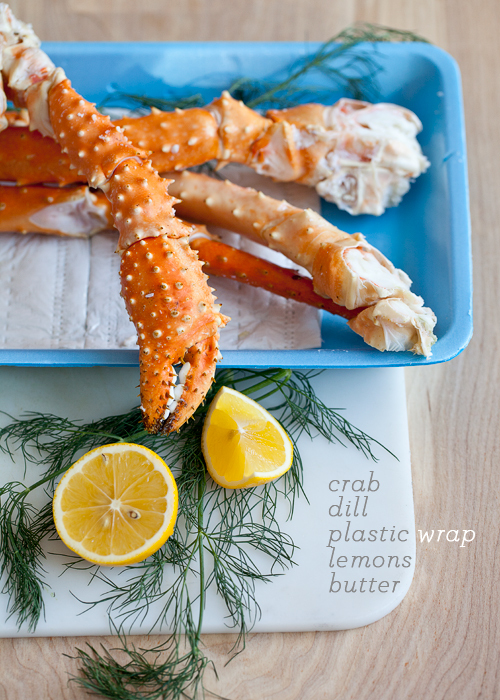 Wrap 3 claws in damp paper towels with 2 sprigs of fresh dill and wrap tightly in plastic wrap. Place wrapped claws in the microwave 1 package at a time and cook for 2 minutes. Remove and carefully unwrap, they’ll be steamy so be careful of the full-facial steam. 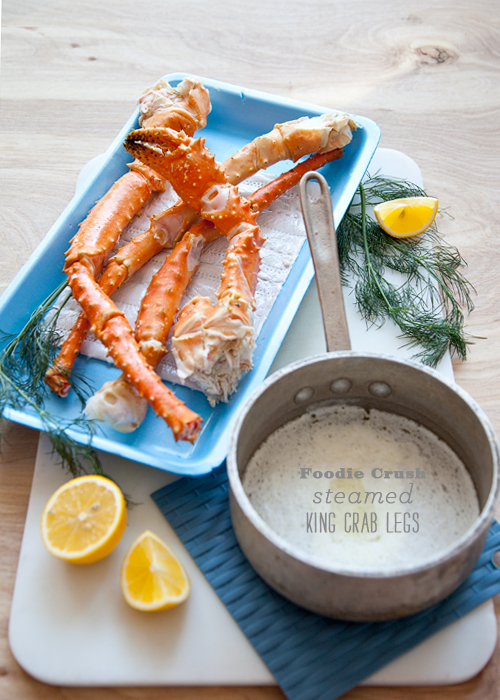 Serve and enjoy with melted butter and plenty of napkins.